5-watt external wired speaker is perfect to increase the sound of your driveway alarm receiver or entrance alert receiver. Simply screw the wires into the back of your receiver to run a speaker to an additional room. A driveway alarm system isn’t doing its job if you can’t hear it. That’s why we carry this efficient 5-watt external wired speaker to help enhance the sound of your current system and ensure your home or business stays safe and secure. 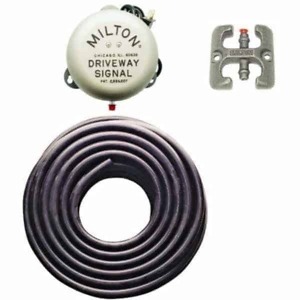 Although every driveway alarm receiver we carry is loud, the 5-watt external wired speaker will add an extra boost of sound to your driveway alarm or entrance alert set. With 6 feet of speaker wire, this small speaker is easy to install and offer a nice, clear sound. It includes a mounting bracket for easy installation.